There’s a lot to think about when you become an Airbnb host: How will you check in guests if you don’t actually live in the home? What if they make copies of your key? Are they maxing out your energy bills? We caught up with two Airbnb hosts, and , to see how they solve those problems with smart home technology. 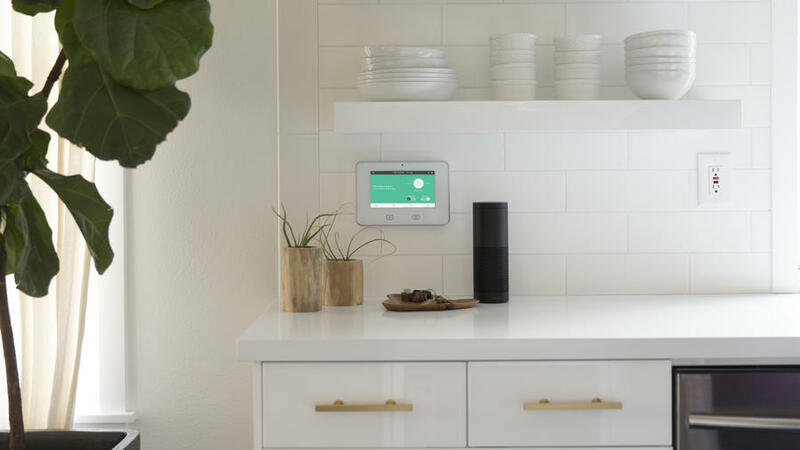 They both decked out their homes with startup Vivint’s smart home security devices to make sure their home and guests are taken care of while they’re away. Adding a smart door lock with a keypad was a favorite easy upgrade. Thanks to Airbnb’s partnerships with a variety of connected locks from August to , the device can auto-generate a code for the guests that will only work during the dates of their reservation. It also allows the host to remotely lock or unlock the front door if the guest needs some help (or if someone forgot to lock up). Bill valued how it keeps him from giving out the same security code over and over for the key lockbox. “I like knowing they have a special code that’s unique to their stay,” he says. A great companion to a smart lock? A smart doorbell. When a guest rings it, you’ll get a notification on your smartphone and be able to see and talk to them through the app on your phone, which connects to a camera on the front of the doorbell. So if your guest arrives a little early and their code isn’t working just yet, they can ring the doorbell to quickly get a hold of you. Worried about your electric bill, or have a tricky-to-use thermostat? Replace it with a connected one to not only make it easy for guests to use, but also to ensure that no one accidentally forgot to turn off the heat upon check-out. Bria uses it to keep an eye on her A/C use, and can remotely turn it down if she needs to. Plus, learning thermostats will automate their temperatures to cool or heat your home at ideal times to keep the bill low, so that your guests can walk into the house and never need to worry about it getting too hot or cold during their visit. However, the most concerning issue when you’re away from home, whether guests are there or not, are break-ins. Bria’s house has several entry points, but with exterior smart cameras she’s able to get notified if there’s unusual activity, such as an intruder trying to take advantage of a vacant house between Airbnb guests. She’s been pleased with the video quality of Vivint’s smart security cameras. While some of us prefer to buy our devices a la carte and do DIY installs, Vivint’s home packages stand apart to make setup seamless. Vivint provides a customized quote based on the tech you’re looking to add to your home, and can send a professional to install it too. Both Bill and Bria had a positive experience with Vivint’s installation. Bria loved that they didn’t poke any holes in the walls and wrapped up the setup in a few hours. Check out more at , or give them a call at (888) 689-4577.